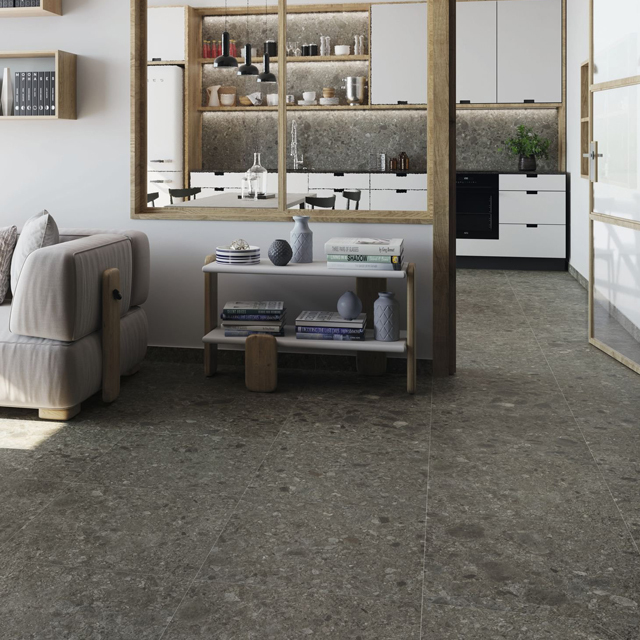 Fulfil your fantastic flooring dreams with our extensive range of beautifully crafted Floor Tiles, carefully selected to give you maximum style and comfort in any room of your home. 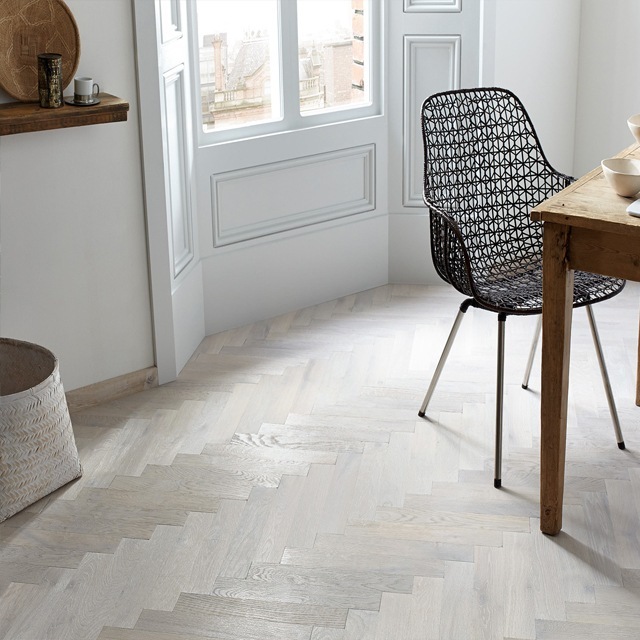 They bring a wonderful look and feel to a home, with so many styles, textures and colours to choose from, it’s not surprising that they are becoming one of the most popular flooring choices. 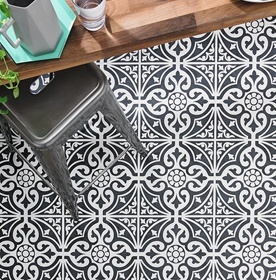 Gone are the days of boring Floor Tiles! 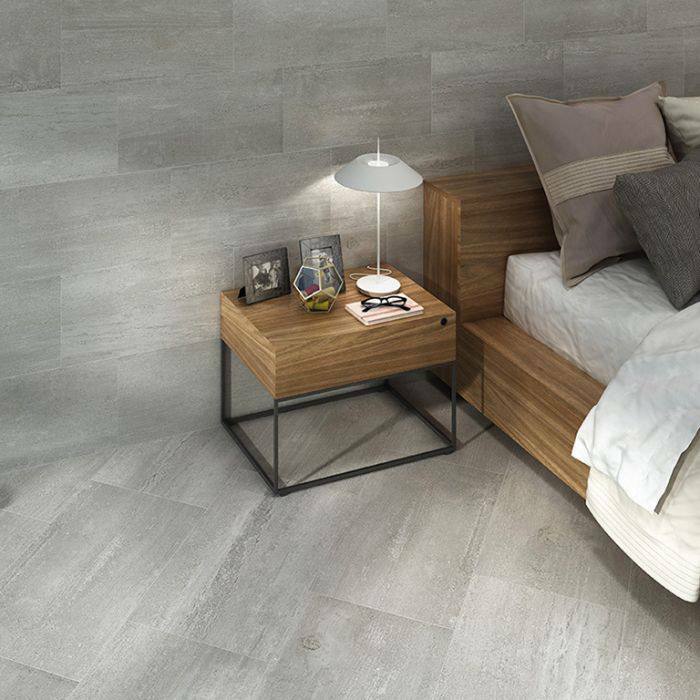 Our extensive collection of high-quality Floor Tiles are sure to be able to help you create a floor that suits your room perfectly. With many different sizes and shapes, the looks that can be achieved are endless. 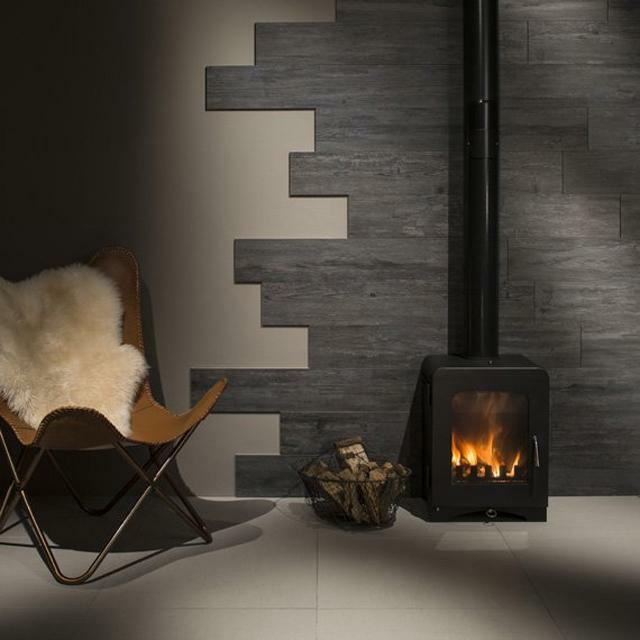 We offer a wide range from well-known brands including Verona, Laura Ashley and RAK Ceramics. All in a variety of styles, sizes and colours. 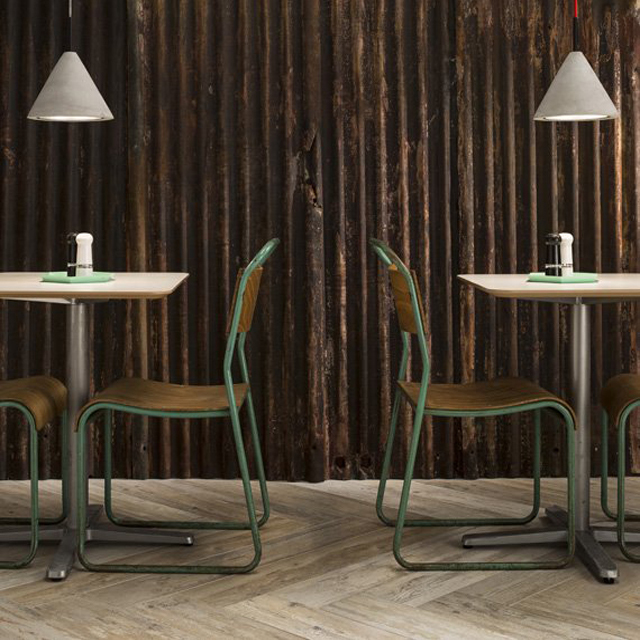 Choose from effects such as marble, concrete and wood to create a rustic feel. 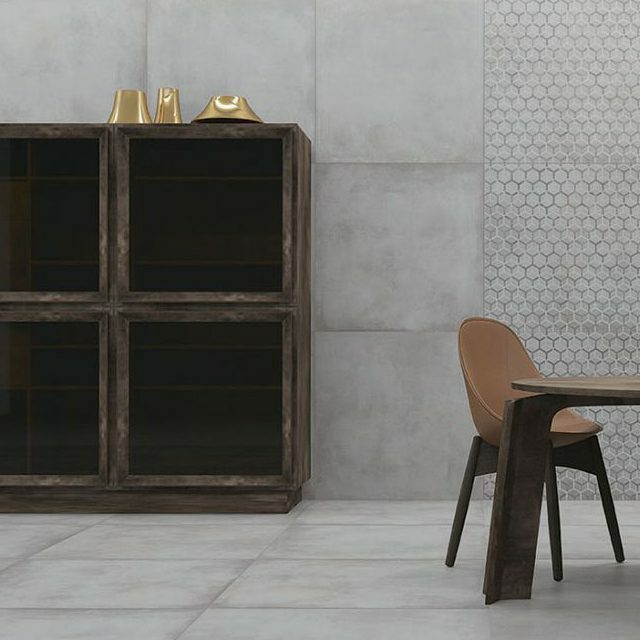 Go for a more exotic theme with intricately designed moroccan tiles, or create a stylish, modern oasis with sleek neutrals to either complement your décor or create contrast. 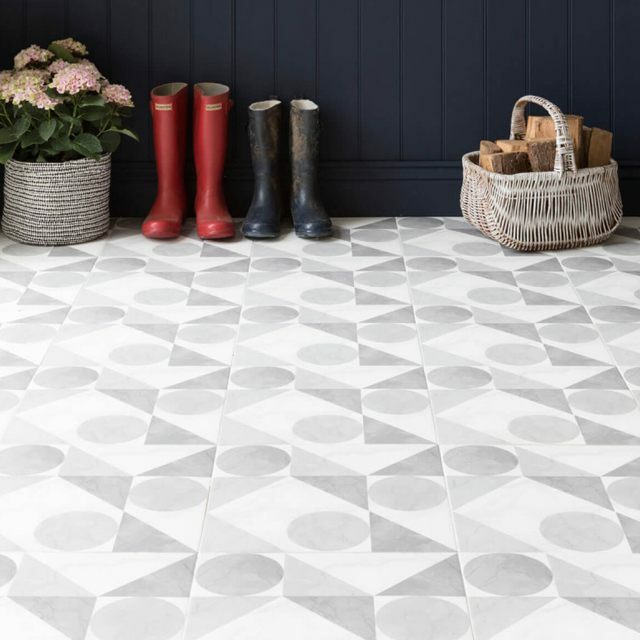 Whether you prefer a classic layout, a smart, contemporary slate pattern or a striking mosaic of small Floor Tiles, don’t be afraid to get creative! 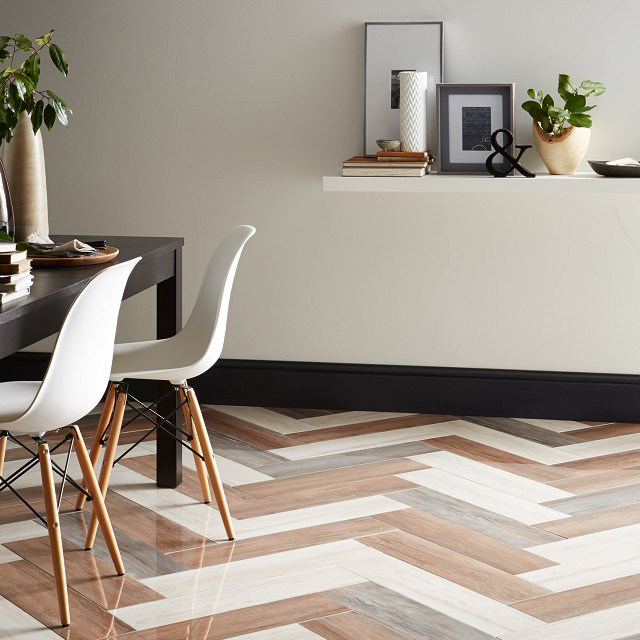 A well-placed tiling pattern can be the perfect finishing touch to an otherwise bland living space. 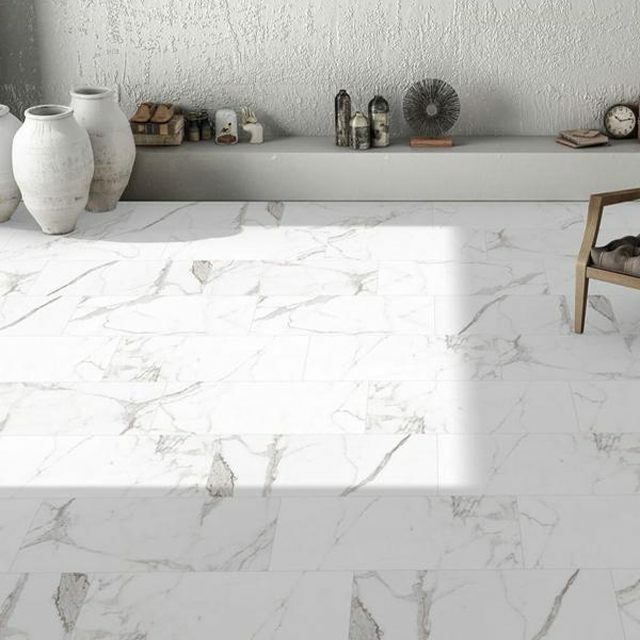 If you’re tiling a room, you need to access consider tiling only half the room and when it’s dry tile the rest. 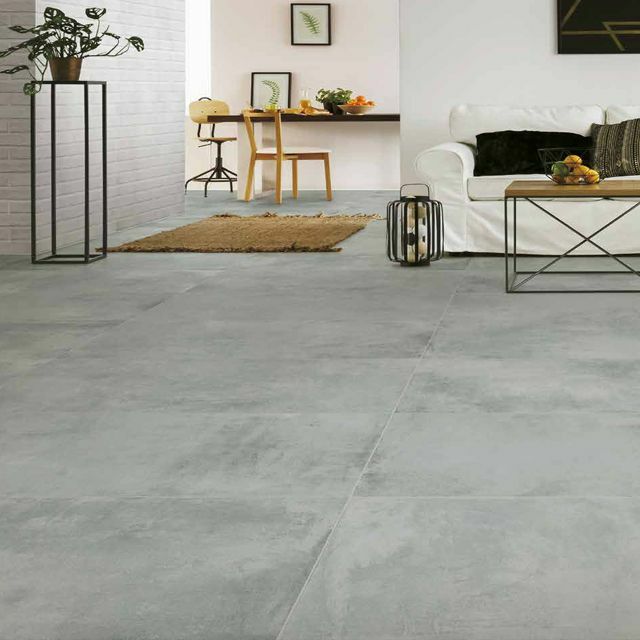 This will take slightly longer but will provide you with a hard-wearing surface. 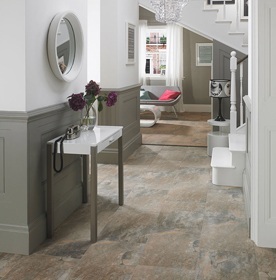 Read our below steps on how to lay floor tiles. 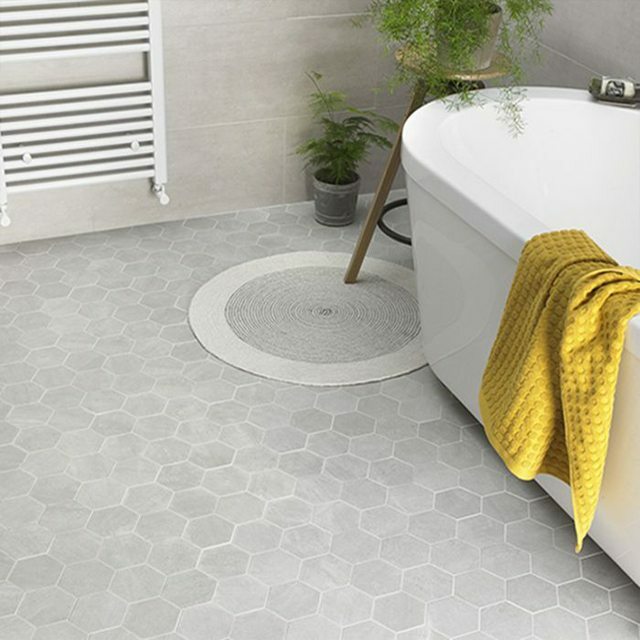 Grouting your tiles doesn’t only make them look nice it also seals your tiles to protect them from dirt and moisture.